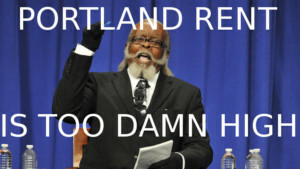 Will Rent Control Save Portland From Another Housing Bubble? As a real estate agent in Portland, my answer is that I just don’t know exactly. Rent control will almost certainly become a reality in Portland, if Oregon House Bill 2004 is passed (the legislation is now in the state senate). In addition to making landlords give tenants of over six months a full 90 day eviction notice, House Bill 2004 would also lift the state ban on rent control. One could make a compelling argument either way. Those opposing rent control may point out that areas which used to be high crime areas with rundown buildings are now getting fixed-up and becoming much safer and cleaner places for people and their families to live in. In that sense, gentrification may not be all bad (if you can afford it). Being able to afford the increases in living costs is the true problem. With home prices going up over 12% annually in the Portland metro area, cost-of-living is certainly increasing much faster than most people’s earning potential. One way that rent control might help keep sale prices down is that it would limit the profit of selling a property. Ostensibly, this might help slow down home price increases by discouraging housing speculators by limiting house-flipping while slowing down the disappearance of affordable rental housing. On the other hand, tying landlord’s hands on rent prices may just result in even more upward pressure on home sales as it forces some who would rather rent into buying a home because they simply cannot find a rental at all. Disclaimer: author is not an attorney and the following is an editorial opinion article and should not be construed as legal or property management advice. What is Oregon House Bill 2004? House Bill 2004 is a new piece of legislation at the Oregon State level that would ban no-cause evictions after a tenant has lived in the unit for over six months, along with other landlord restrictions. The logic behind the six month no-cause eviction allowance is that within those six months landlords would have the ability to weed out problematic tenants. For tenants renting longer than six months there would be no allowance for a no-cause eviction. That said, landlords would be able to evict tenants for certain business or personal reasons providing the land lord gave a mandatory 90 day notice to the tenant while also being required to pay the tenant one month in rent. Landlords with four or fewer rental units would not be required to pay the one month in rent but would still be required to give 90 days notice. Furthermore, Oregon House Bill 2004 lifts the statewide ban on cities imposing rent control. 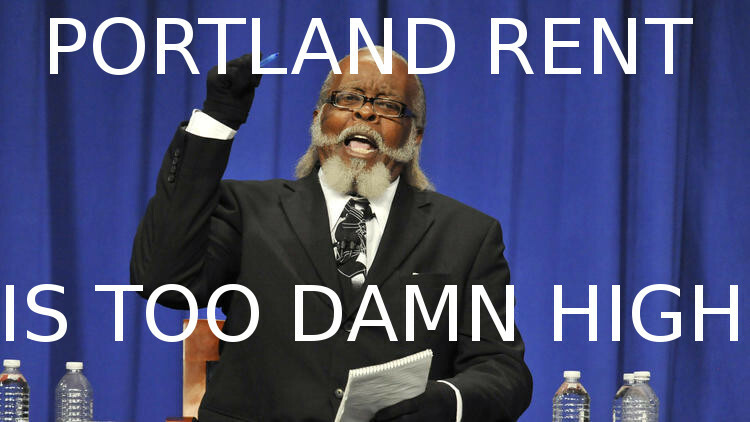 Lastly, the new law lifts the rent-control ban, thereby freeing up the city of Portland (and other municipalities) to create new ordinances to help slow down runaway rental prices. The Oregon state government’s consideration of these tangible penalties for landlords is in response to mounting public outcry at longtime residents being uprooted and forced to move; with tenants often finding themselves unable to afford replacement housing. While divisive, the legislation takes aim at skyrocketing housing costs that are increasing much faster than wages. Critics of the legislation say the bill does nothing to ease the housing shortage because it doesn’t open up any new places to live. Furthermore, the restrictive laws may also discourage investment in new housing developments out of fear of the restrictive new measures. The bottom line is that we don’t really know what the long-term effects of rent control will be and that such laws would be a result of public outcry from the many citizens being priced out of their own lives in our city.